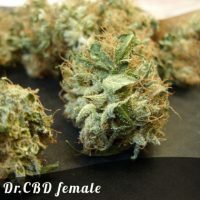 Discount OG Kush female seeds produce a Short sized cannabis plant with a High (15-20%) THC content, Photoperiod genetics and a flowering time of 8 weeks. 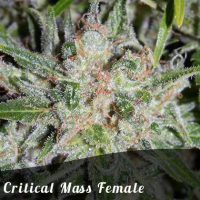 OG Kush female seeds has a genetic makeup of Chemdawg x Hindu Kush and has an effect described by the breeder as ‘Very relaxing’. 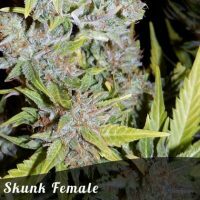 Buy Discount OG Kush female seeds at the lowest price online now! OG Kush is part of the genetic makeup of numerous Californian Cannabis strains but its own genetic history is still somewhat shrouded in mystery. Many people believe OG Kush is a cross of Chemdawg and Hindu Kush but the truth will never be fully known as the original OG Kush came from some bag seed. This strain formally only available as a clone only strain is now the most popular strain in California Marijuana dispensaries The effect of OG Kush is strong and unique with a very dank, slightly citrus aroma similar to fuel or strong detergent. The flavour of OG Kush is equally as strong and dank, with a long-lasting aftertaste. OG Kush is can stretch a little during growth but will start to fill out during flowering. Normally, OG Kush will grow to 70 to 100 cm. OG buds are huge and very dense with a lime green colouring and tons of resin. OG Kush has been used by medical patients to reduce the effects of migraines and is also known to be effective in combatting stress disorders.